Call our toll free support hotline: 1-800-836-0744. Our engineering or service department will be happy to assist you. Our staff of highly qualified experts are available from Monday through Friday 8:00a.m. to 4:00p.m. Eastern Time. Experience the finest in technical support. All RTF products are in-house CAD designed, engineered and built to best fit your unique requirements. Our CAD drawing department will be happy to assist you in providing all the drawings for your next special project—indoor or outdoor, whatever shape and size you need. RTF Manufacturing will design, engineer, manufacture and deliver your complete Walk-in request. Call 1-800-836-0744 or email: info@rtfmanufacturing.com to request a quote today—discuss your requirements with an RTF engineer and we will provide the assistance you need. A detailed quote and specifications will be provided for each job. 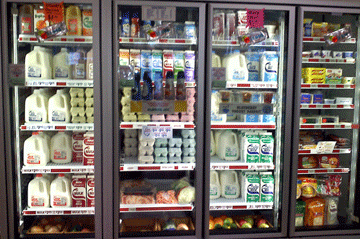 Leasing of Walk-In Coolers is also available. 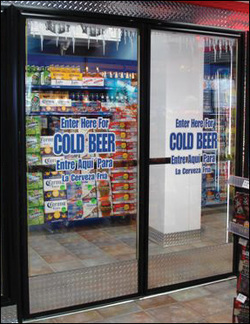 RTF Manufacturing is Your Source for Custom Designed Walk-In Coolers, Freezers and Beer Caves—Built to Fit Your Plans. Our Walk-in Coolers and Freezers save energy costs and meet all building code requirements including UL Standards for safety and performance. RTF superior designs keep your operating costs to a minimum.